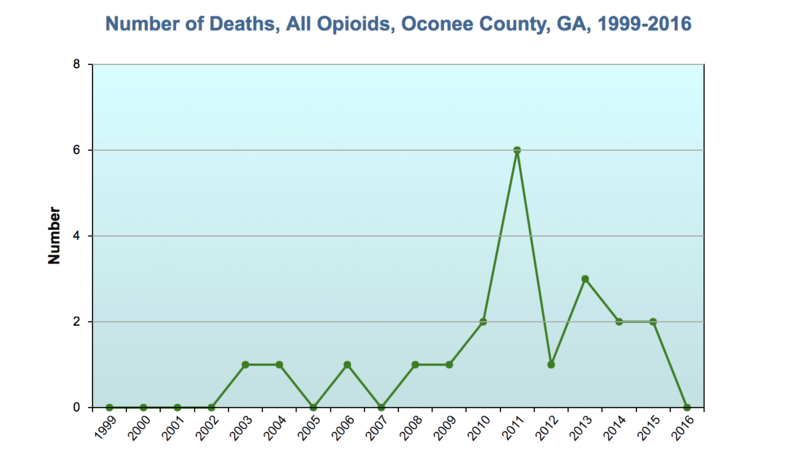 Nearly 1000 people died of opioid overdoses in Georgia in 2016. 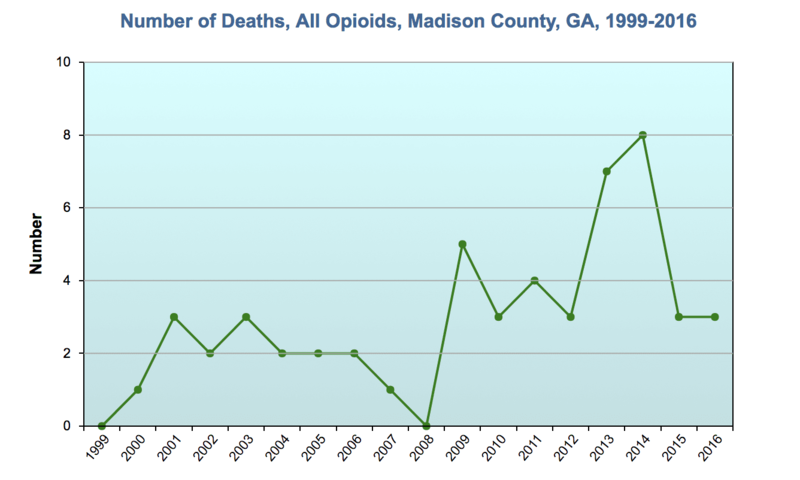 That’s more than four times the overdose number a decade ago. 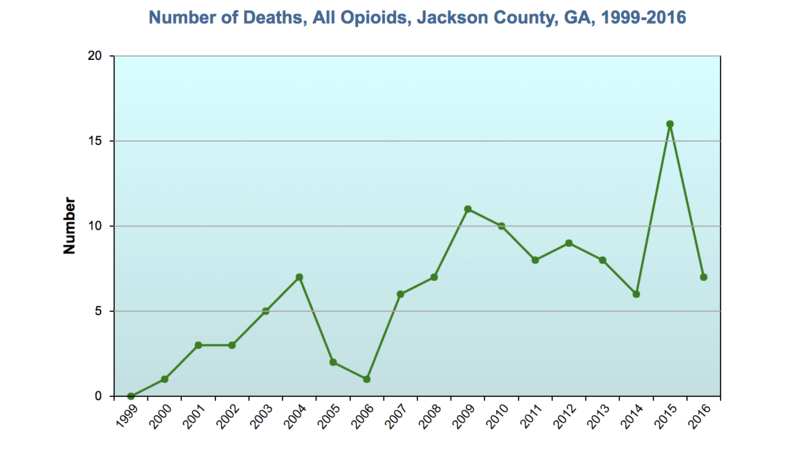 Information compiled from the Georgia Department of Health shows the deaths relating to opioids has steadily increased since 1999. Talk to your doctor about the benefits and drawbacks of opioids. Never take a greater amount of opioids than prescribed. Do not sell or share your prescription. Avoid drinking alcohol while on your opioids. Call 911 immediately and wait for help to arrive. In the meantime, try to rouse the victim. 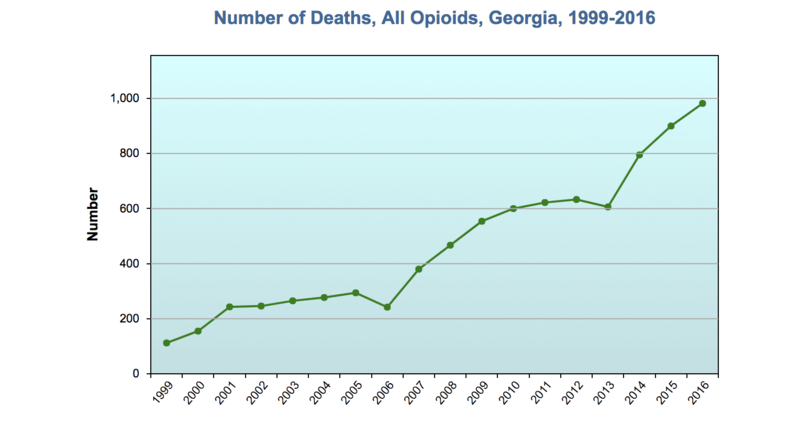 To learn more about the opioid epidemic visit the Georgia Department of Public Health or the CDC. 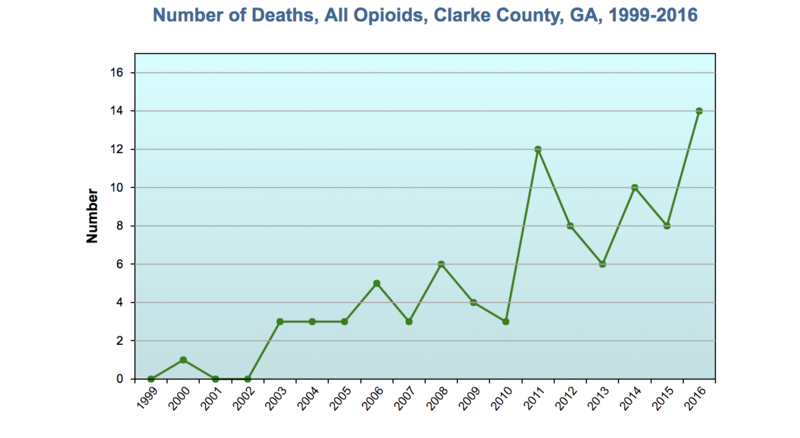 See how your local county is affected by the opioid crisis below. 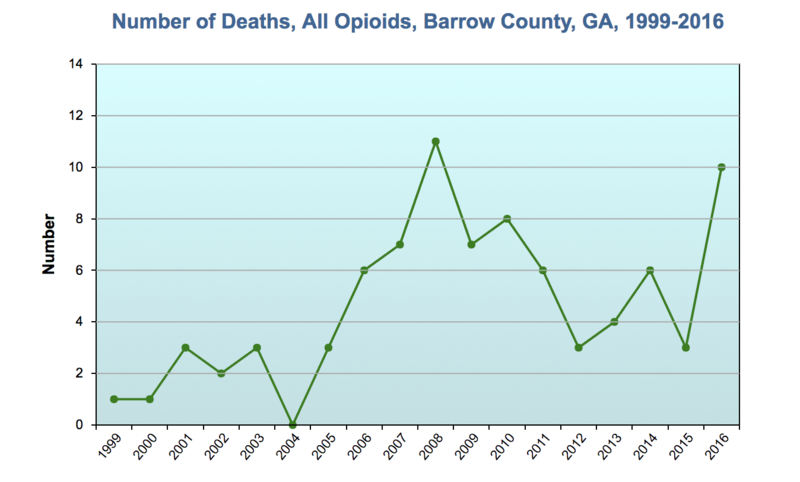 Charts are compiled from the Georgia Department of Health’s Data Warehouse.